In the heyday of '00s Mandopop boybands, just the mere mention of his name would've sent teenage girls into fits of frenzied squeals. 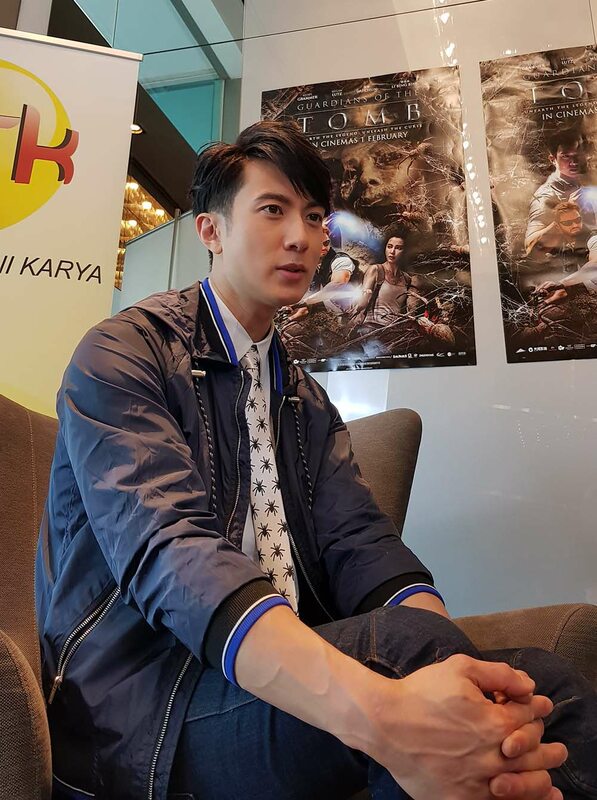 We are, of course, referring to Wu Chun, former member of popular Taiwanese boyband Fahrenheit. 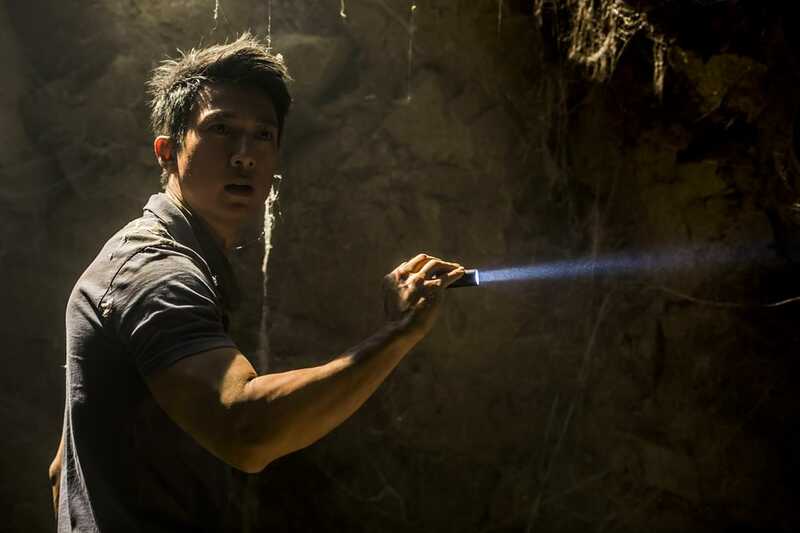 Wu Chun in 'Guardians of the Tomb'. Though he's kept a pretty low profile since leaving the group in 2011 to focus on his family, Wu is set to return to the silver screen in 'Guardians of a Tomb', starring alongside Li Bingbing ('A World Without Thieves', 'Transformers: Age of Extinction'), Kellan Lutz ('Twilight', 'The Legend of Hercules'), and Kelsey Grammer ('Frasier', 'Trollhunter') in his first project with an international cast. 1. Hi, Wu Chun! So, what have you been up to since you left Fahrenheit in 2011? 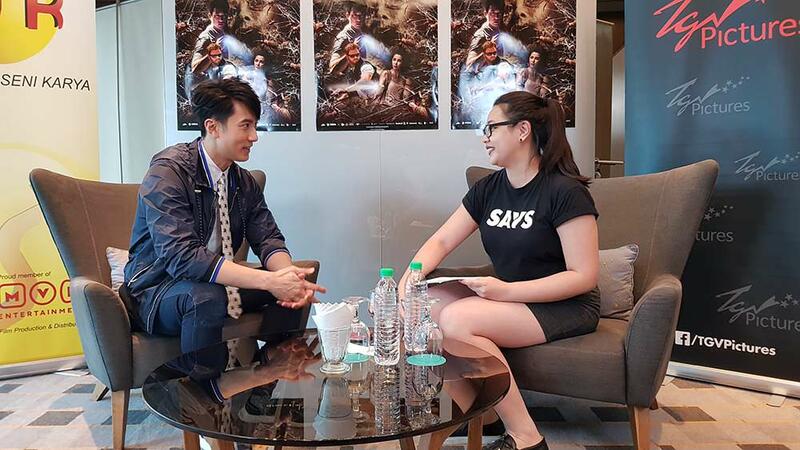 Wu Chun: Not much, actually. After leaving the group, I've slowed down my involvement in showbiz because I wanted to spend time with my family. There were two to three years where I wasn't involved in any films. It's only in the past year or two that I returned and got involved in a few projects. 2. You mentioned that you've been to Malaysia quite a few times. What do you look forward to most when you're here? WC: Definitely seeing the fans, because I don't often come here, right? It's only when I'm here that I get to meet and interact with everyone, so that's what I enjoy the most. The second thing is... the food! 3. Now that's one thing we have in common: our love for food! What are some Malaysian dishes you must eat at least once before heading off to your next stop? WC: Waaaah, just this afternoon I ate a lot. I had nasi lemak, satay, char koay teow, laksa... oh, and pisang goreng (fried banana fritters)! There's this one stall nearby, so delicious. SAYS: Oh, is it the one (in Brickfields)? WC: You know that place too? Do you know them? I've always wanted to ask them for the recipe. If you can get the recipe for me, I'd be extremely grateful. 4. Let's talk about your movie! Tell us about your character. 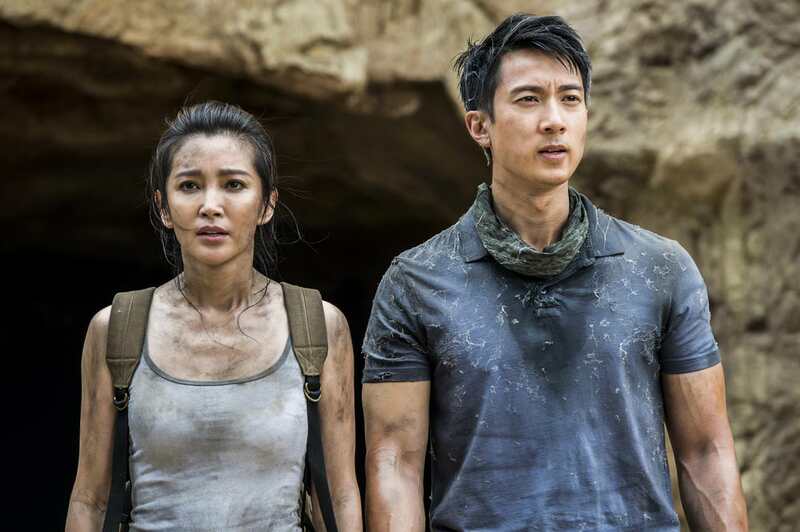 Li Bingbing (left) and Wu Chun (right) plays siblings Jia and Luke in 'Guardians of the Tomb'. WC: Luke, my character in this film, I think he loves adventure and he's quite reckless. So when his boss said, "Hey, I want you to go on a mission, to look for a mysterious elixir that we can sell for a lot of money. If you can find it, we will all be rich!" So this young man, he's very excited to go on this adventure. Even though he knows that his sister (Jia, played by Chinese actress Li Bingbing) will be worried about him and won't allow him to go, he rushed headlong into the expedition anyway. Then (I got lost in a labyrinth of spiders and) my sister had to come save me. 5. This is your first time working with an international cast. Any actors you'd really, really like to work with in the future? WC: Actually, I have a lot! *laughs* I may be thinking too far ahead, but I'd like to work with Will Smith and Leonardo Dicaprio. They are some of my favourite actors. 6. Now that you've done both for quite some time, which one do you prefer most - acting or singing? WC: I think... acting. I haven't had much experience with singing (until I joined Fahrenheit), so I'm not really confident when singing. I prefer to act, because I get to play different roles, work in different environments, see different things. 7. Out of all the actors or filmmakers you've worked with, whom did you learn from the most? WC: Should be (Taiwanese actress Ariel) Lin Yi Chen. It was my first time shooting a TV series, and I was in the drama with her. I didn't know ANYTHING back then, but she was very patient in guiding me. Ariel Lin (left) and Wu Chun (right) in 2006 Taiwanese drama 'Tokyo Juliet'. 8. I found this little cute tidbit when reading up about you online, you were in a variety show (Chinese reality TV show 'Where Are We Going, Dad?') with your children! What was it like working with your kids? Wu Chun (middle) with his children Nei Nei (left) and Max (right). WC: It was definitely a happy experience! It's like killing two birds with one stone, I have to work, but I also got to bring my kids along with me. They also had a fun time doing it. But of course I had to suffer, coz I had to take care of them, and make sure they are having fun. But it's truly a precious experience. 9. Seeing as you have two young children, how do you feel about fans approaching you in public for a selfie? WC: I'm used to it! It happens quite often. For them to want to take a photo or a selfie with you, from those who like you and support you, I'm grateful for that. If there aren't a lot of people, I will definitely take a photo with them. But if there are a lot of people around, then of course I cannot lah. Coz maybe you're heading somewhere, and if there are a lot of them, you don't really have to time to do that. 10. What's the one thing people would be surprised to know about you? WC: Wah, are you trying to expose me? *laughs* Let me think, what is it that no one knows... okay, when I was a kid, I was very bad-tempered. My temper is a lot better now, but if you push me to the limit, I can still be quite *roars delicately* fierce. SAYS: So, like The Hulk. 11. Anything you'd like to say to your fans in Malaysia? WC: Every time I come to Malaysia, what makes me the happiest is to be able to meet all of you who've been supporting me. I also hope that every time I'm here, I'll have more time to spend with them, so I hope to be able to have a "fan meeting" in the future to get together with them. 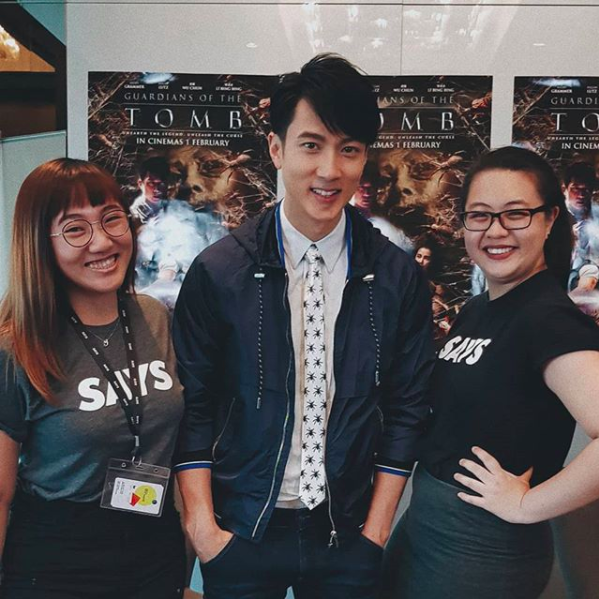 Thank you for chatting with us, Wu Chun! Catch him in 'Guardians of the Tomb', currently playing in cinemas nationwide.